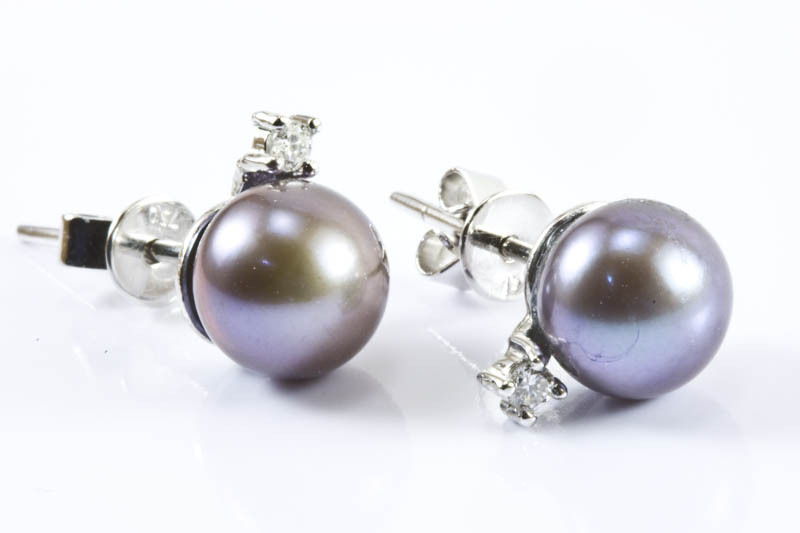 7-7.5mm AAA Grade Japanese Black Akoya Cultured Pearl Earrings, 18 K. White Gold & 0.06ct. 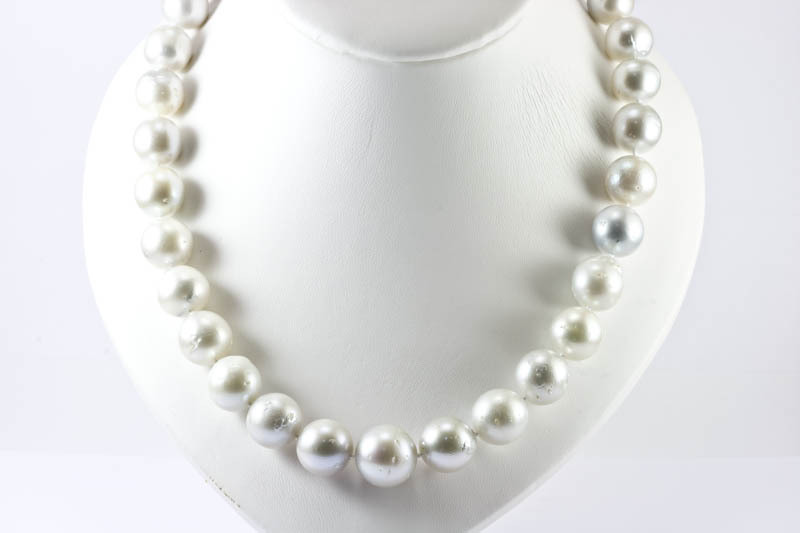 Diamond. 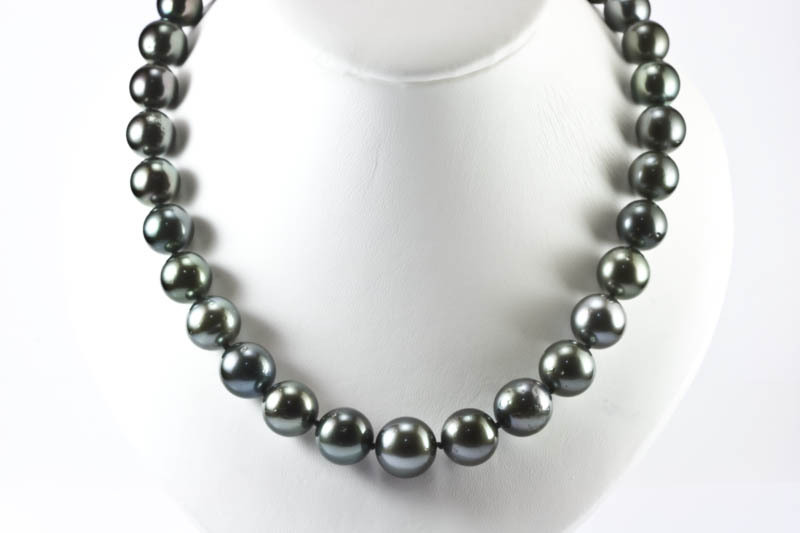 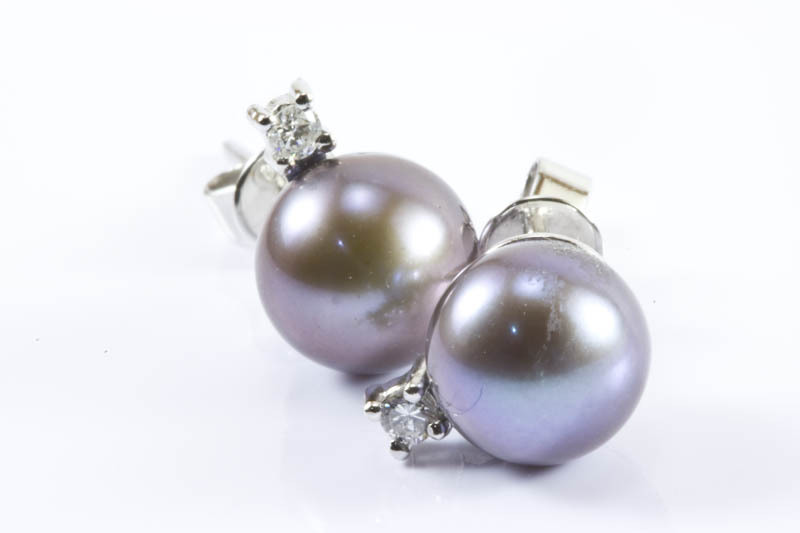 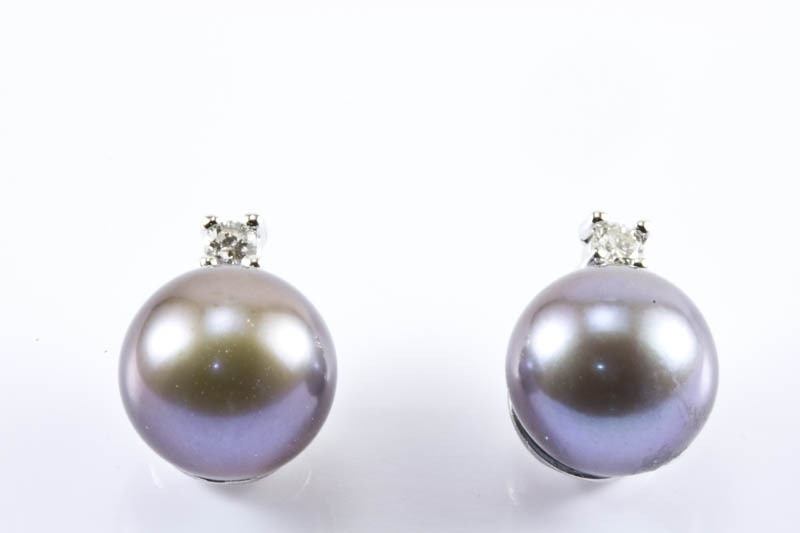 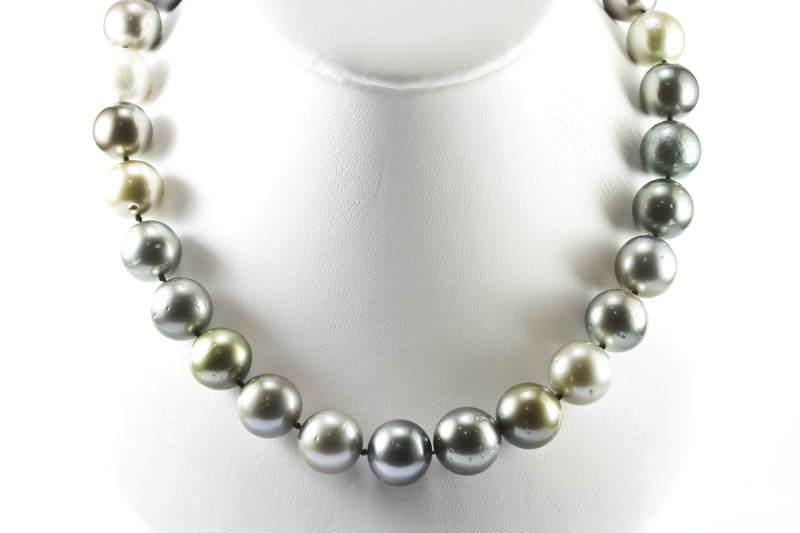 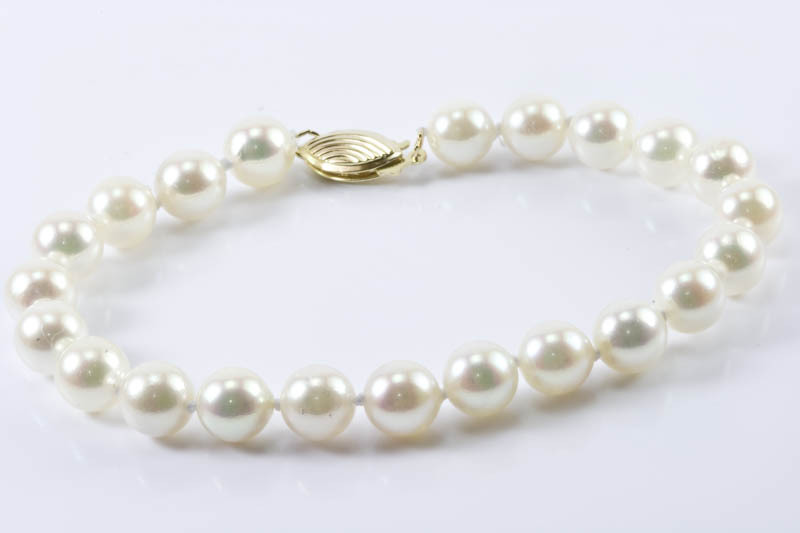 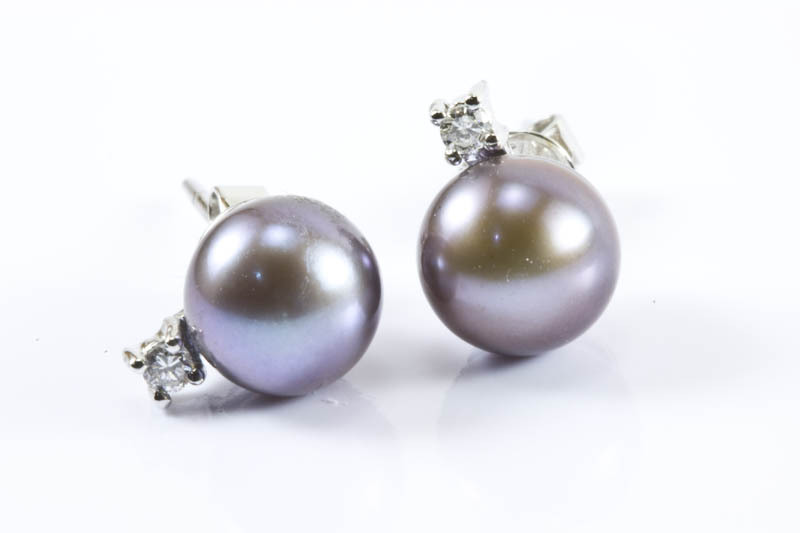 Each pair of pearls has a dark-gray color with slight hints of other iridescent colors, and is graded round to mostly round, with high luster, good uniformity, and flawless to lightly spotted surfaces. 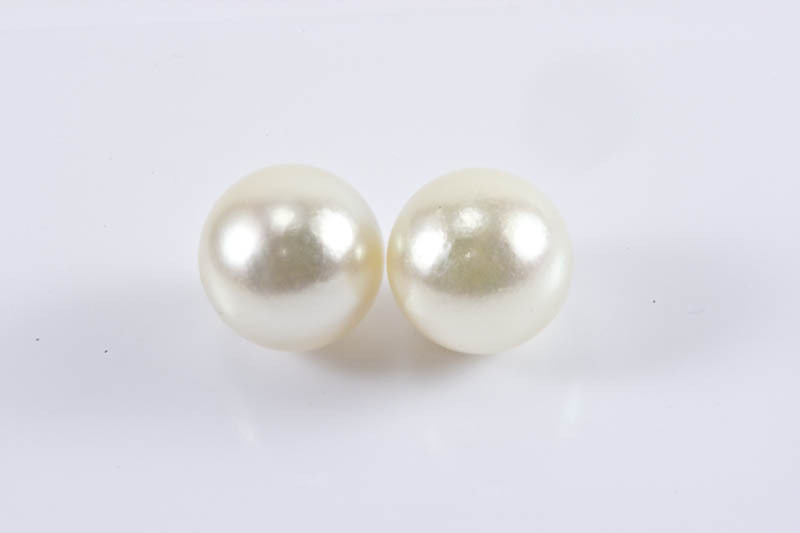 Pearls are mounted on 18k whitd gold and diamond studs.